For a long time, if someone asked you who your favorite Venom was, “Eddie Brock” was kind of hard to defend as an answer. I mean, there’s the nostalgia, and he’s the mainstream one, but there was never really that much to him, you know? Not anymore. Venom #10 is my favorite issue of the series so far because of what it tells us about who Eddie Brock actually is and what makes him tick. I’m not going to get into spoilers because it’s handled really well, but Donny Cates misdirects us in a pretty clever way when delving into Brock’s past. It seems pretty run of the mill up until then, but I really loved how he doesn’t pull his punches. 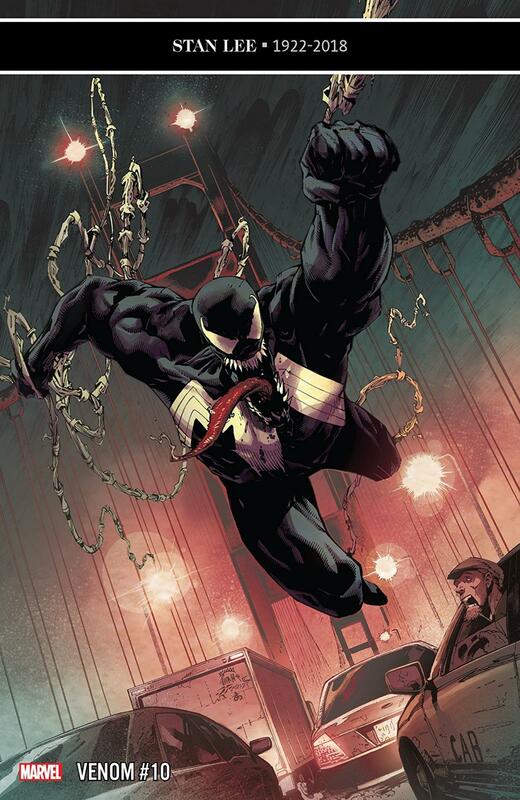 We’re given more to help us understand why Venom can be so brutal and why he cares about innocence so much. At the end of the day, fans of Brock are going to get a ton of mileage out of this when discussing the character and his newfound complexity. The brotherly dynamic between and Eddie and Dylan is also enjoyable, and I think everyone will look forward to seeing what his role in all this will be. Eddie likely sees him as innocent and therefor a chance at redemption, and we all love a good redemption story. I think I speak for everyone when I say it’s great to have Stegman and Mayer back. While I really enjoyed the expression that Iban Coello brought to his issues, Stegman’s heavy McFarlane influence just fits the book too well. There’s a lot of blood and bruises in this issue, and their linework puts strong emphasis on the chaos in each scene. It can make you feel bad for the victim even when they deserve what they’re getting. As for the coloring, I didn’t miss Frank Martin’s as much. He does great work of course, but the warm filter gets kind of old. I get that the story isn’t so bright in and of itself, but I don’t think a little levity would hurt.